As an eCommerce store owner you will be always concerned to provide the best experience to your customers. A live chat window on your website might be one of the common solutions to offer instant customer service. Live chat window is a faster, more economical and more efficient tool to provide instant customer service. 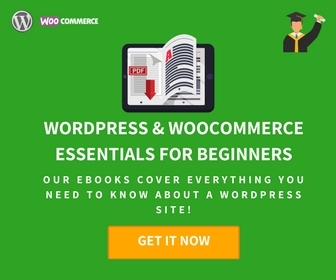 If you are managing a WooCommerce store, chances are high that you will find a WordPress live chat plugin extremely useful. In this article, we will have some of the best WordPress live chat plugins compared. You should be able to get an idea on how to choose the best live chat plugin after reading this article. Why do you need a live chat plugin? Live chat plugin serves multiple benefits on a WooCommerce store. Here is a quick look at why you need a live chat plugin on your store. Live chat is a great option to provide instant responses to your customers’ queries. In a lot of scenarios, your customers will have to wait a specific time for your response through an email or support ticket. With a live chat window, you can easily solve simple issues quickly. That way you can make use of your support ticket system to deal with more complicated issues. With a good live chat system, you will be able to manage sales leads more efficiently. If you are integrating sales leads with your marketing tools, you can improve your customer acquisition process. A lot of new visitors would be happy to use the live chat window to understand more about the product. Moreover, you will be able to improve the conversion rate also considerably. A lot of customers who are using the live chat window will be already in the advanced stages of the sales funnel. Sometimes all they need is a little push from your side with a prompt response. Many live chat tools help you monitor user activity on your site. 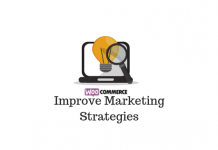 This will help you design targeted marketing approaches for your store more efficiently. Another important factor to consider would be the increased upselling opportunities that come with it. Your customer support system will become more efficient with the help of live chat tools. You can actually resolve a lot of simple issues instantly and as a result there will be better streamlining of customer support workflow. Moreover, you will be able to get feedback and performance metrics more easily with the help of customer support tools. What to look for in a good live chat tool? When you are looking out for a good live chat tool, you might need to look into a variety of factors to get the right one. Here is a look at some of these features. A live chat window is not a passive tool that customers use only when they need to resolve some problem they are facing. It offers a lot of opportunities to improve customer engagement on your site. A live chat software should be capable to help your support agents initiate a chat with your site visitors and prospective customers. Being able to provide information such as browsing patterns or previous purchases would add a lot more value to a live chat software. A live chat software, if not used properly, can actually reduce the customer satisfaction rate on your site. It is important to make sure that your choice of live chat software enables your customer support system to be more efficient. The live chat software should be able to give you reports on your agents’ performance. You should be able to understand the customer satisfaction by monitoring the chat activity over a period of time. Moreover, the tool should allow support agents to communicate between themselves. 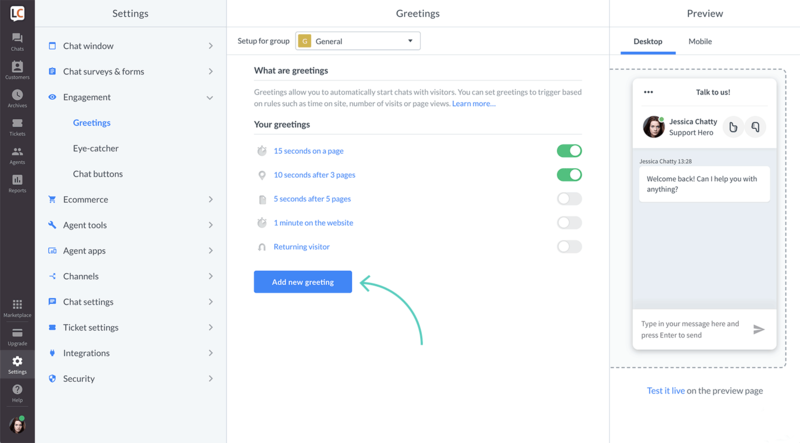 This feature can prove to be handy especially when you are training new support agents. A modern eCommerce store will be offering customer support through multiple channels. If the live chat software of your choice is able to provide support to all these multiple channels, you will be able to improve the efficiency. The key is to be available in the platforms that your customers are interested to engage with. At different times, the same user might choose to communicate through different channels. If your support agents are able to get previous chat data from other channels right in front of them, the communication will be more efficient. So, a good live chat software should be able to provide a comprehensive view of your multiple support channels. Pre-defined response template can offer a great relief for support agents if you have repeated queries on certain issues. For example, if you are selling software products, some installation related queries can be quite common. For such queries, if your agents are able to use a pre-defined template, the process will become more faster and efficient. Most of the good live chat tools will have comprehensive reporting options. You will be able to gain actionable insights from key metrics like visitor behavior, chat history, agent activity, conversion rate, etc. This should make sure that you are able to consistently derive insights from the tool and improve the process on your store. 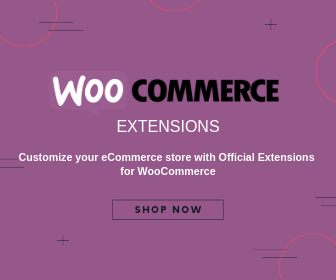 Now, let’s take a look at some of the best WordPress live chat plugins that you can install on your WooCommerce store. LiveChat is one of the most comprehensive tools to offer live chat on your WooCommerce store. It offers integration with a large number of other useful tools like CRM, order management, etc. LiveChat has proven its capability to improve your revenue considerably by incorporating some great features. Here is a quick look at some of the useful features of LiveChat. As a chat tool, it offers a bunch of features to enable better engagement with your visitors. These include options to provide visitor information, canned responses, file sharing, chat archives, notifications, and several more. Furthermore, options for automatic greetings and personal greetings would enhance customer engagement even more. Features like option to chat on Facebook, embedded and pop-up chat windows can be helpful too. LiveChat also offers several customization features as well like personalizing the chat window with themes, your brand logo, social media buttons, etc. Along with basic statistics, LiveChat provides a range of key metrics that will help with better reporting. Chat and Ticket reports would help you periodically assess the performance of your customer support team. You can use it effectively irrespective of the platform. You will be to use it on web, desktop or mobile without glitches. Several integrations are available including Facebook, Mailchimp, Dropbox, Salesforce, Google Analytics, etc. There are specific features to support your eCommerce store such as sales tracker. It will also help you create targeted marketing campaigns on your store. You can also find a WooCommerce plugin to integrate LiveChat on your site if you already have a LiveChat account. WSChat is an on-premises solution that offers a different user experience compared to the several SaaS solutions available in the market. Data ownership might be a problem that eCommerce store owners face when they choose a SaaS solution as their help desk. This will not be a problem with WSDesk as it offers complete ownership for the store owner. More importantly, it offers all the advanced features required for a great live chat software. WSChat offers all the required features of a good WordPress help desk plugin. Here is a look at some of the standout features of WSDesk. Ability to interact with your audience in real time. This will be equally helpful for you to handle both pre sale and post sale queries on your site. It will provide visitor information on your site real time. That means you will be able to view information of both your existing customers as well as new visitors. You can view several details like user’s IP address, viewed pages, time spent on your site, etc. This should facilitate your support agents to initiate an informed chat. The plugin is Ajax-based and responsive to ensure a smooth experience to your users. Extensive customization options to change the look and feel of the chat window. 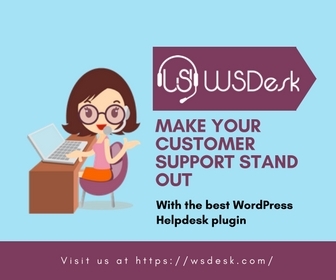 Smooth integration with the popular WordPress help desk system WSDesk. You can purchase a single site subscription of this plugin for $89. The 5-site subscription is $129 and the 25-site subscription is $249. Olark will help you provide great customer support on your store, as well as help you improve your sales figures by acquiring new sales leads. It offers extensive lead management features, where you can assess each lead to approach a user in the most targeted manner. It also offers smooth integration to a plethora of tools that you may need for your daily eCommerce management process. Olark is a versatile tool that will help you support customers as well as follow up on leads. We will look into some of the interesting features of this live chat software now. Customize the live chat window to align with the design features of your brand. This should help your site look more professional. Instant chat reports to keep your agents updated at all times. You can get an idea on your chat volume, agent activity and customer satisfaction within the snap of a finger. Automated greetings, custom messages, routing users to the right department should help your customers to engage with your site more. Chat transcript archive to search easily for insights. You can find product feedback and customer information to improve your support process. Billing based on the number of chat agents that you log in. There is no limit on the chat volume. Tidio is another popular live chat software that offers a lot of options for automation. It will make communication with your customers super fast and provide a lot of options to make your support process more efficient. You will be able to access live chat, email and messenger on a single dashboard while using Tidio. In addition to helping you respond to customer queries, Tidio live chat plugin helps you follow sales leads as well. Here is a look at some of the features of Tidio. Great use of Artificial Intelligence to handle customer queries even when agents are not online. The AI bots can help in generating leads, reclaiming abandoned carts and even offering discounts. Gain visitor information to initiate chats in a proactive manner. Easy integration with a variety of third party apps and software for the smooth functioning of your eCommerce store. Simple configuration process. You can set up Tidio on your website in a matter of minutes. Customize the live chat window according to the design language of your website. Mobile app to help you deal with customers who prefer mobile interaction. You can use the Tidio WordPress plugin to integrate it on your site. Best Free WordPress Live Chat Plugins. The importance of having live chat on your WooCommerce store. Next articleHow To Reduce Bounce Rate On Your WordPress Site?